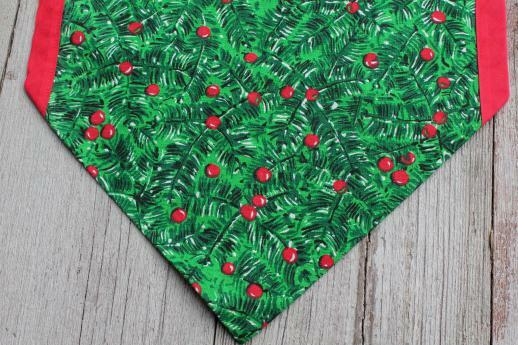 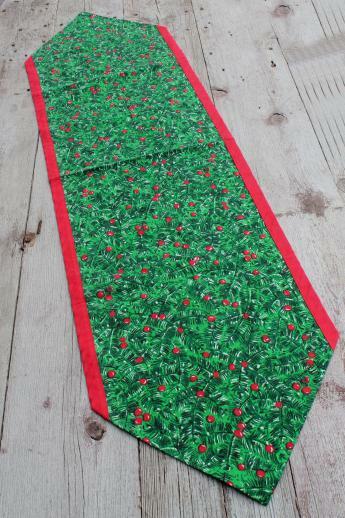 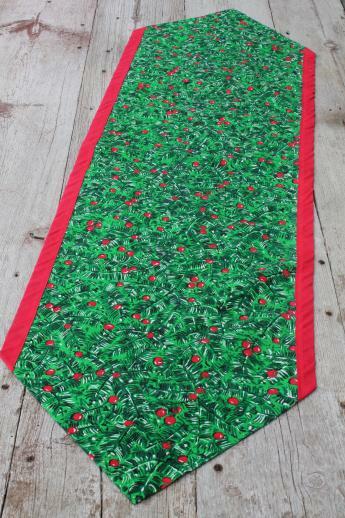 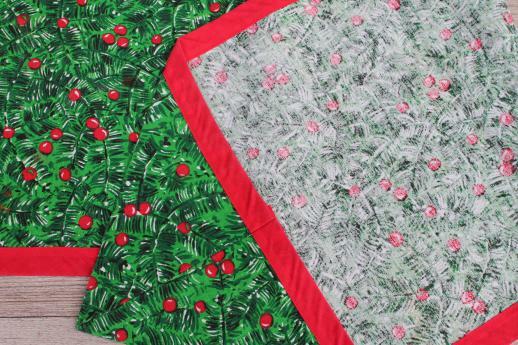 Pair of 70s vintage handmade table runners, with bright holly print cotton or cotton blend fabric. 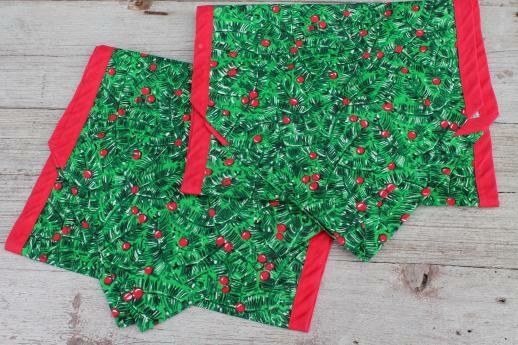 Very folksy, we like these! 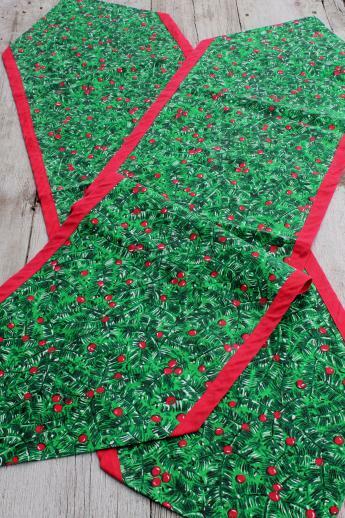 Size of each is 14" wide x 50" long. 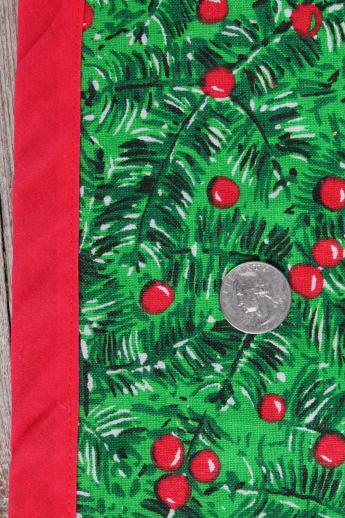 Both have spots visible to the reverse of the runner, though they look good on the top because of the bright print.